This is a math quiz online on counting from 1 to 10 with pictures for kindergarten. This quiz introduces kids to the concept of counting with the help of pictures that show different number of objects e.g. three apples, 2 boxed, 5 shapes etc. 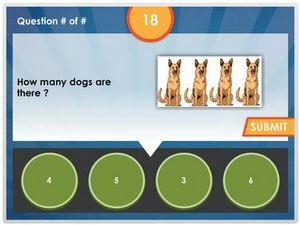 Kids simply have to count the number of objects shown on a picture and select the corresponding answer from the set of choices. This activity will serve for extra homework practice and for homeschooling kids. 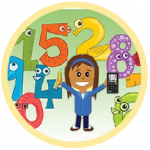 Get kids to start practicing and track your kid’s score.